Call 07914 356860 for viewings.We are delighted to offer this recently refurbished one bedroom top floor flat in a traditional tenement block enjoying a sought after central location within Dundee.This property suits ideally a first time buyer as well as the seasoned Buy To Let investor, being brought onto the market 10% below valuation. 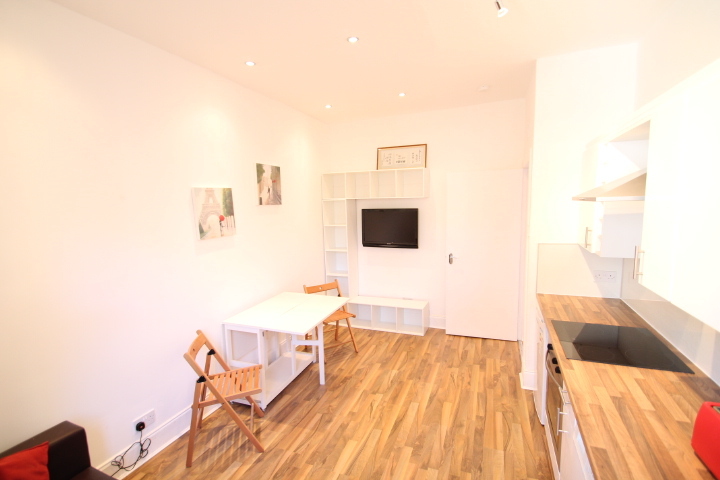 Its location is walking distance to the city centre as well as the beautifully laid Baxter Park, just minutes away.Upon entering the flat the welcoming hallway is neutrally decorated and provides ample space for jackets and shoes in the fitted storage units. Above the entrance door is a cabinet housing the electric meter and consumer unit. Since all rooms are being accessed off this centrally located room, following the newly laid laminate floor it invites immediately into the open plan kitchen.This freshly decorated bright open plan kitchen and lounge is awaiting its new owners and guests. The newly fitted dining kitchen provides ample worktop surface for cooking preparation, a stainless steel sink, a ceramic hob, built-under electric oven and stainless steel extractor hood. This modern, bright open space also serves as lounge with fitted storage units and wall mounted TV bracket, as well as sufficient space for a dining table for a romantic dinner for two. The tall window provides ample natural light into the living area and views to the rear garden. 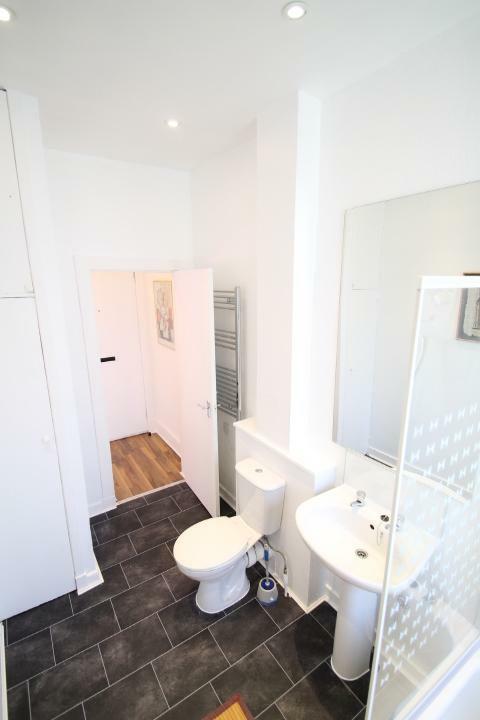 Behind the door, the wall mounted radiator will transform the living space into a cosy home in next to nothing.Immediately opposite the flat’s entrance door is the neutrally decorated bath room with a white three piece suite, electric shower over the bath, shower screen and freshly lined wet walls. The towel rail radiator behind the door creates the cosy warm feeling, while additionally to the tall window, the recessed spotlights provide ample light. 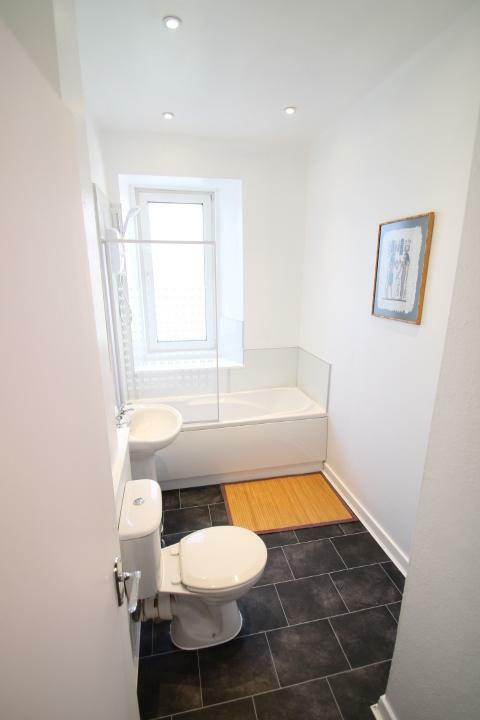 The water tank cupboard provides additional shelved storage within the flat.Finally the generously proportioned and bright double bedroom comes with two tall windows overlooking the front of the property and beautiful views towards and over the river Tay. The room provides plenty space for freestanding pieces of furniture and allows to creat a reading corner next to the recessed book shelf. The wall mounted radiator is conveniently located next to the door.Additional notes: Gas in the property, however not connected. 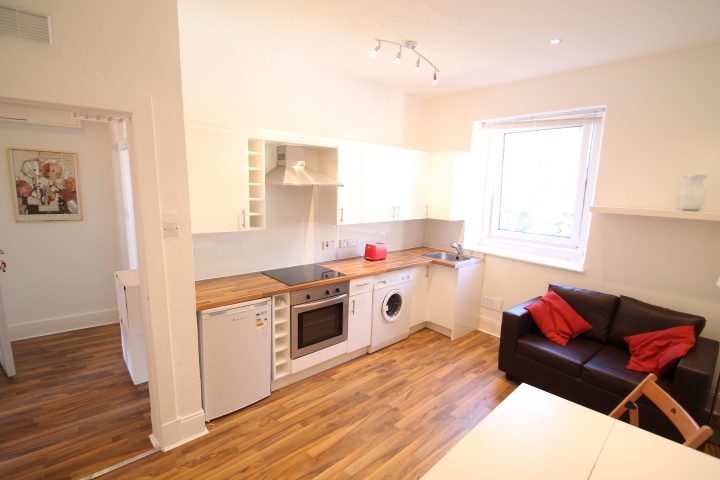 Ample free on-street parking available to the front and side of the property, shared communal garden to the rear. uPVC double glazed throughout, all items of furniture and white goods available on separate negotiation; Gross internal floor area (m²) - 38 m2EPC Rating – E Located just a short distance from Dundee City Centre the property is well served with a range of local amenity including frequent bus services from Arbroath Road. Baxter park is also just a short distance away and offers plenty recreation space. Dundee, the City of Discovery, has undergone an ambitious transformation over the past decade and major investment continues in the shape of revitalisation of the Waterfront, spearheaded by the V&A Museum, the Slessor Gardens and civic amenities including hotels, shops and leisure facilities. With award-winning universities and colleges, leading cultural venues, Ninewells Hospital and businesses at the cutting edge of technology, the re-invented Dundee - the UNESCO City of Design 2014 - is very much a 21st Century city, building on a rich cultural and industrial heritage. Dundee, and nearby Invergowrie at the gateway to the Carse of Gowrie, has confirmed its status as a regional hub brimming with vitality. With a population around the 150,000 mark living in the shadow of The Law, the one-time centre of "jute, jam and journalism" is embracing an era of change. 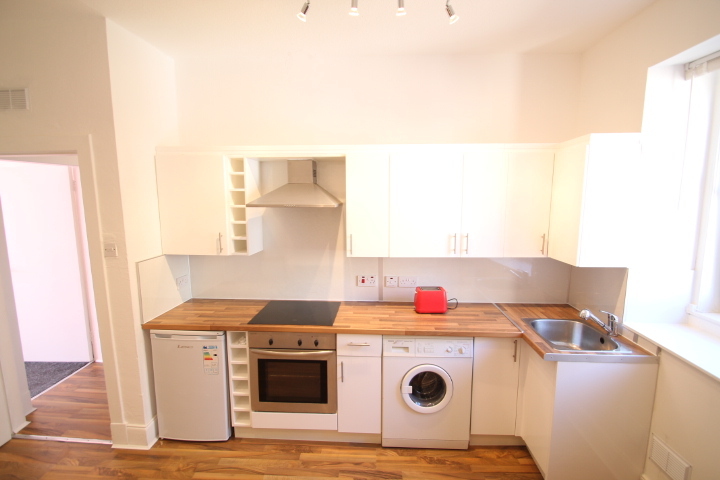 We are delighted to offer this recently refurbished one bedroom top floor flat in a traditional tenement block enjoying a sought after central location within Dundee. 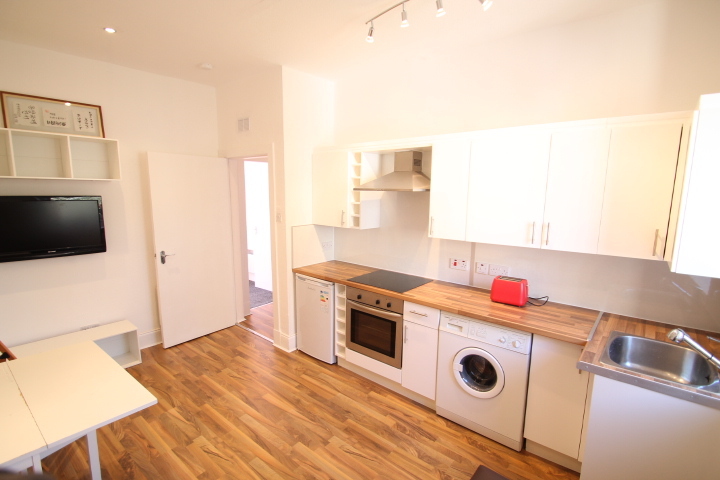 This property suits ideally a first time buyer as well as the seasoned Buy To Let investor, being brought onto the market 10% below valuation. 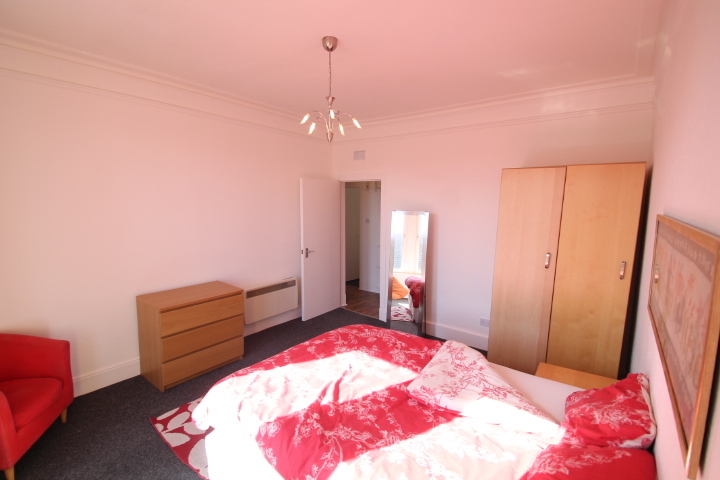 Its location is walking distance to the city centre as well as the beautifully laid Baxter Park, just minutes away. 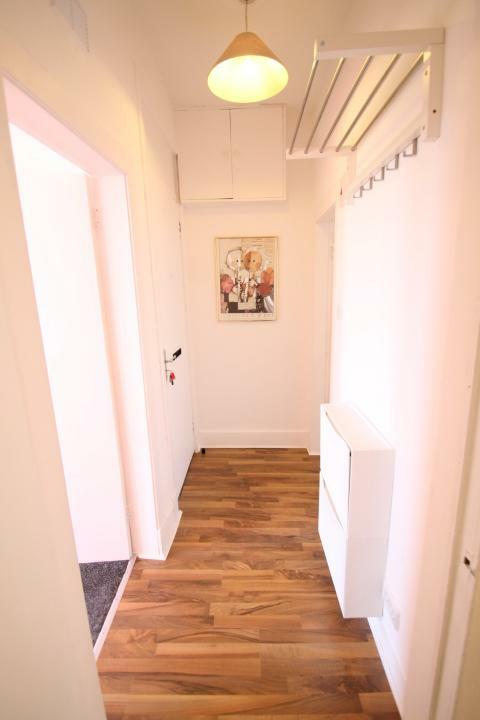 Upon entering the flat the welcoming hallway is neutrally decorated and provides ample space for jackets and shoes in the fitted storage units. Above the entrance door is a cabinet housing the electric meter and consumer unit. Since all rooms are being accessed off this centrally located room, following the newly laid laminate floor it invites immediately into the open plan kitchen. This freshly decorated bright open plan kitchen and lounge is awaiting its new owners and guests. The newly fitted dining kitchen provides ample worktop surface for cooking preparation, a stainless steel sink, a ceramic hob, built-under electric oven and stainless steel extractor hood. This modern, bright open space also serves as lounge with fitted storage units and wall mounted TV bracket, as well as sufficient space for a dining table for a romantic dinner for two. The tall window provides ample natural light into the living area and views to the rear garden. Behind the door, the wall mounted radiator will transform the living space into a cosy home in next to nothing. 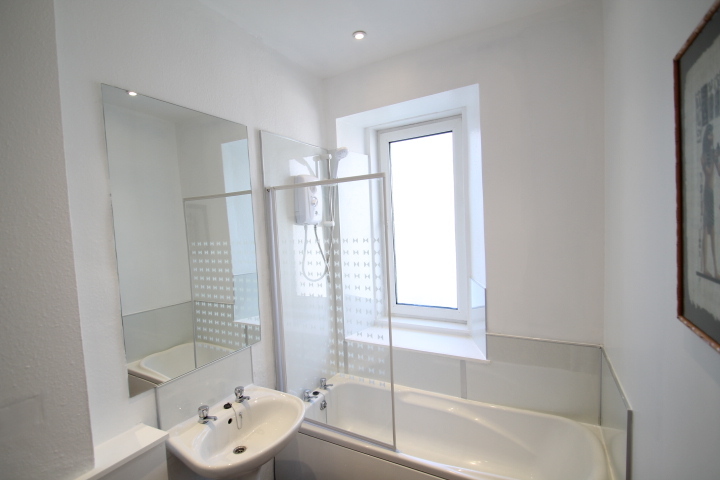 Immediately opposite the flat’s entrance door is the neutrally decorated bath room with a white three piece suite, electric shower over the bath, shower screen and freshly lined wet walls. The towel rail radiator behind the door creates the cosy warm feeling, while additionally to the tall window, the recessed spotlights provide ample light. The water tank cupboard provides additional shelved storage within the flat. 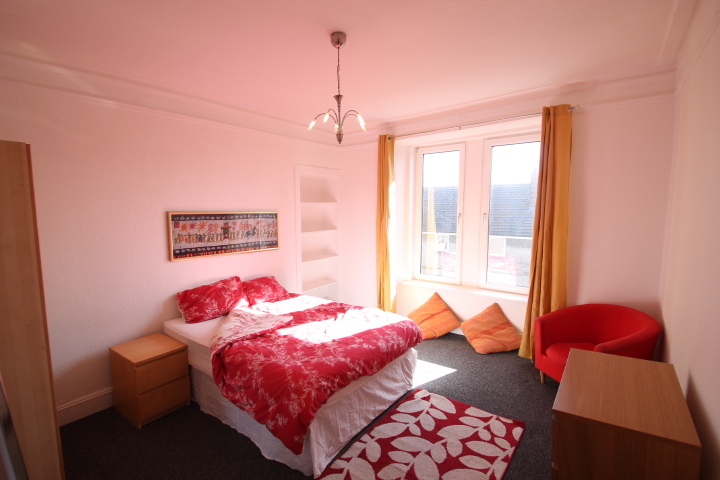 Finally the generously proportioned and bright double bedroom comes with two tall windows overlooking the front of the property and beautiful views towards and over the river Tay. The room provides plenty space for freestanding pieces of furniture and allows to creat a reading corner next to the recessed book shelf. The wall mounted radiator is conveniently located next to the door. Additional notes: Gas in the property, however not connected. 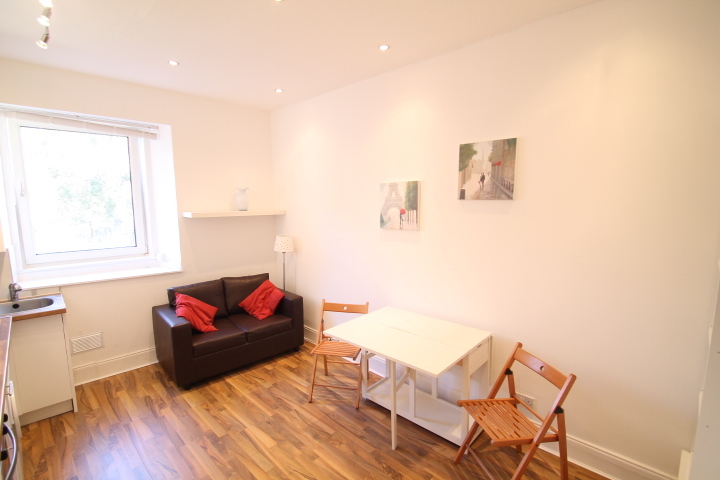 Ample free on-street parking available to the front and side of the property, shared communal garden to the rear. uPVC double glazed throughout, all items of furniture and white goods available on separate negotiation. 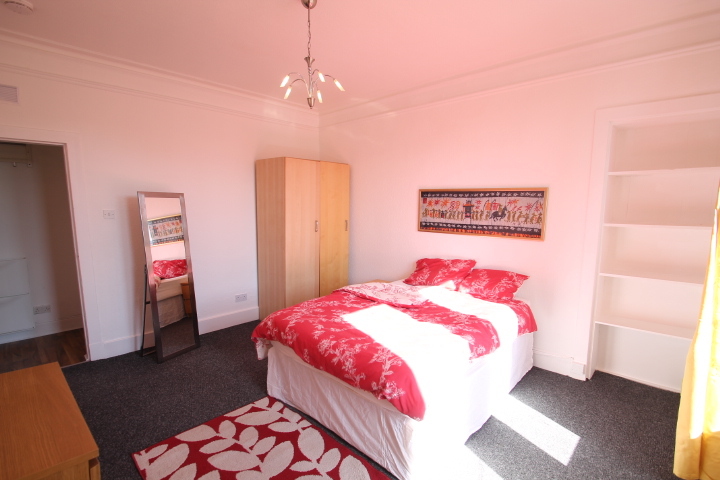 Located just a short distance from Dundee City Centre the property is well served with a range of local amenity including frequent bus services from Arbroath Road. Baxter park is also just a short distance away and offers plenty recreation space. Dundee, the City of Discovery, has undergone an ambitious transformation over the past decade and major investment continues in the shape of revitalisation of the Waterfront, spearheaded by the V&A Museum, the Slessor Gardens and civic amenities including hotels, shops and leisure facilities. With award-winning universities and colleges, leading cultural venues, Ninewells Hospital and businesses at the cutting edge of technology, the re-invented Dundee - the UNESCO City of Design 2014 - is very much a 21st Century city, building on a rich cultural and industrial heritage. Dundee, and nearby Invergowrie at the gateway to the Carse of Gowrie, has confirmed its status as a regional hub brimming with vitality. With a population around the 150,000 mark living in the shadow of The Law, the one-time centre of "jute, jam and journalism" is embracing an era of change. While all reasonable efforts have been made to ensure the accuracy of the information contained in this schedule is correct, no warranty is given. The purchasers will require to satisfy themselves fully in relation to all information contained herein. Further with a regard to measurements provided in the schedule, it should be noted that these were taken by a sonic tape measure and as a result are only approximations and cannot be relied upon for their accuracy.